X Factor boss Simon Cowell is said to be on the warpath after host Dermot O’Leary’s controversial ‘fixing’ comments yesterday. The presenter sparked outrage with talk of voting Sunday’s show being ‘pre-planned’, revealing when they found out who was in the bottom two, producers frantically rehearsed Cheryl’s no-vote during the final ad break. ‘We talked about it in the break because you find out two or three minutes before what’s going to happen,’ Dermot said yesterday, revealing that was Cheryl was given the option to abstain from voting. 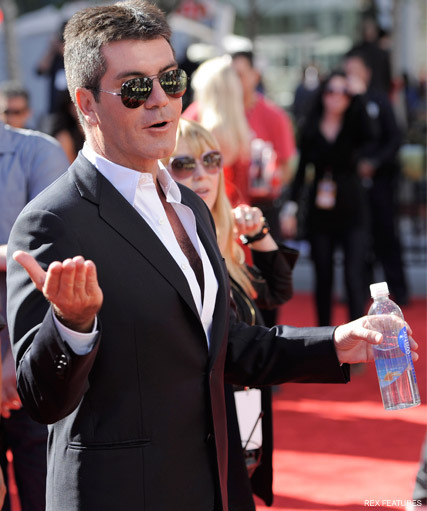 Now Simon Cowell is said to be ‘seething’ over the comments – which sparked outrage among X Factor viewers – and has flatly denied the show is fixed. ‘Simon is absolutely furious,’ one source told the Daily Mail. ‘He denies – 100 per cent – that the X Factor is fixed. The fact that some viewers believe this has left him seething. In the wake of the scandal, Dermot took to Twitter to clear up his comments, which he said had been misunderstood. ‘We never know which way the judges are going to vote. Ever. The only thing I know is who’s in the bottom two when I’m given the card,’ he Tweeted. Rumours are already starting to circle that Mr Cowell is planning a shake up to stop scandal on next year’s show, and is on the verge of signing a fifth judge, to prevent the even standoff seen this year. ‘The idea is 90 per cent a done deal,’ an insider told the Sun last night. What are your thoughts on the X Factor live shows? Do YOU think they’re fixed? Let us know in the comments box below.